When Madeline Hatter™, Cedar Wood™ and Holly O'Hair™ decide to team up with gourmet chef Ginger Breadhouse™ on a bake sale, the girls really cook up a storm! The three bakers are dressed for the occasion in doll-icious sugar-coated outfits -- and each comes with a baking tool and themed pastry that stacks with those of the others to build a towering dessert! 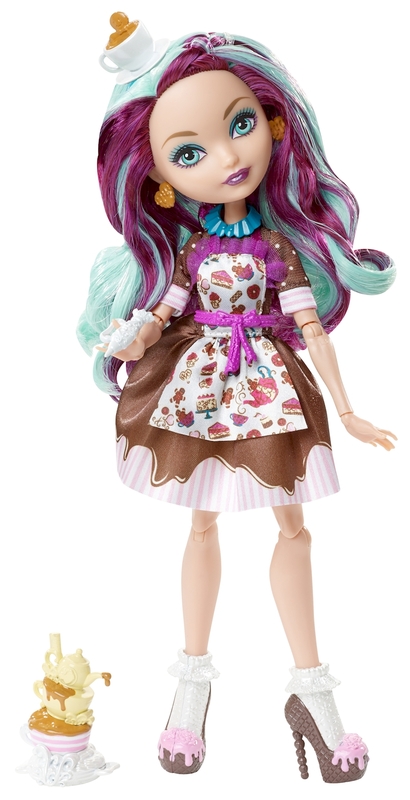 Madeline Hatter™ doll, daughter of the Mad Hatter from Wonderland, is Wonderland-iful in a chocolate dress with pink and white striped accents and an apron with baking-themed print. Spelltacular accessories really put the icing on the cake, like a teacup hat (with gingerbread man inside), cookie heart-shaped earrings, ruffle necklace, polka-dot detail belt and shoes with chocolate truffle heels. She gets cooking with an icing tool and four-tier teacup-inspired cake. Doll also comes with a doll hairbrush and doll stand to capture those sweet moments. 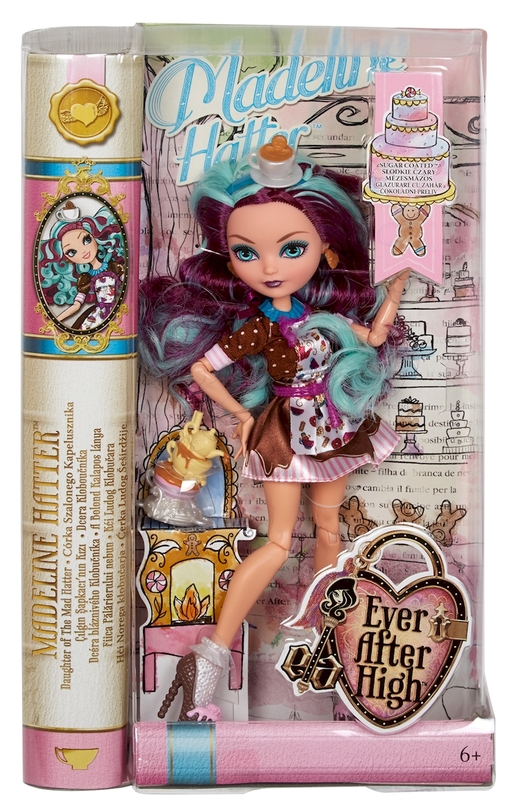 Collect all of the Ever After High™ baking dolls to create a full menu (each sold separately).